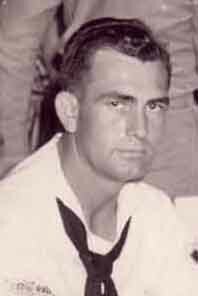 Ralph Moore was a Pearl Harbor Survivor stationed on the USS West Virginia. He was on shore when the attack began and he helped pull survivors from the water. He served throughout the war in the Pacific in campaigns including the landings at Iwo Jima. Two photos of Ralph Moore with his wife Genevieve. Click the pictures for a larger version. 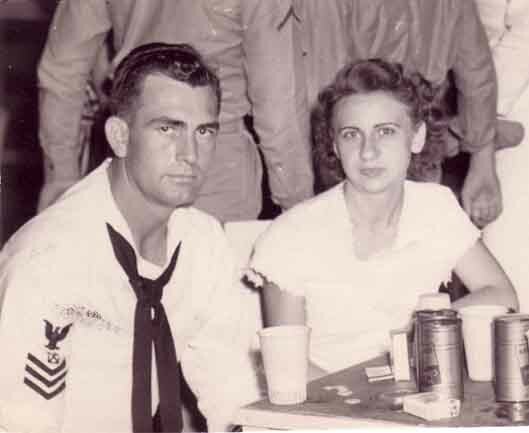 My father was about 17 yrs old when he joined the US Navy [ he was born 3/14/20 and entered into service 3/14/37 [ He had to get special permission, according to my mother, Genevieve Moore, from his parents to join the Navy at so young an age. ]. He served on the USS West Virginia from 1937 thru 1941 , and was a crewmember on the USS West Virginia when it was attacked in Pearl Harbor on Dec. 7, 1941 . I know that he operated one of the launches that would ferry crew back and forth from the ship to the shore, and that he was also acted as an MP for a time, though I don’t know what his duty was the day of the attack. I do know that he was not on board at the time of the attack, but helped to pull bodies out of the water after the attack took place. Sometime after the attack, he was transferred to the USS Cummings, and later to the USS Raleigh, as well as the USS Dobin, USS Whitney, and finally the USS Rigel, though I do not know the dates of service on these ships. 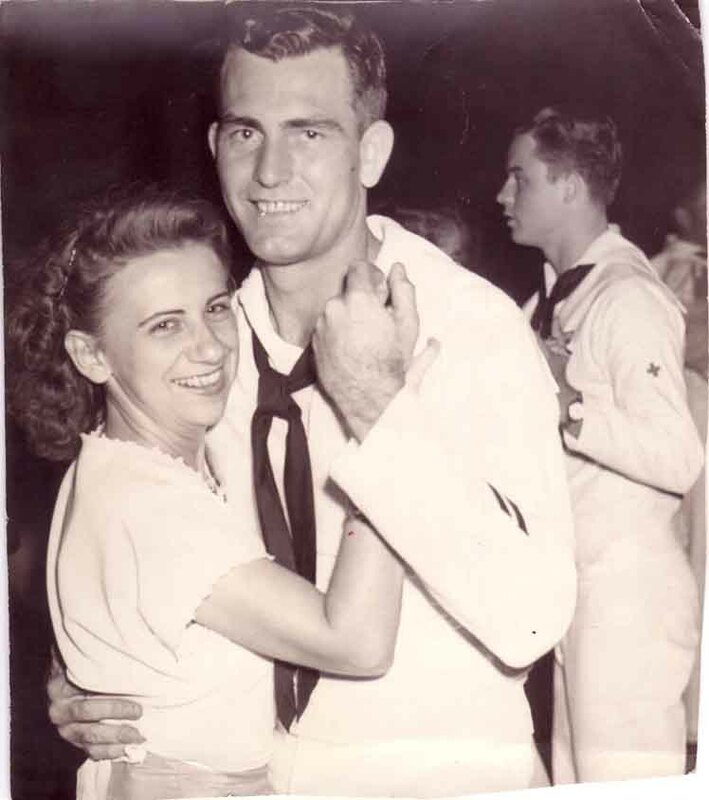 He was a boxer [ middleweight or light heavyweight ] during the war [ I think my mother mentioned he was in competition for the 7th fleet title ], but I do not know what ship(s) he represented, or how far he went in the boxing competition. During the war, he was in charge of a landing craft bringing men to the beachfront [ I assume under fire ] . I was told by my mother, that once, while the and his shipmates were watching a movie on an island, a bullet passed very close to him, striking, and killing, an officer sitting in the row in front of him. It turned out to be a Japanese sniper in a tree, who was killed soon after. He also was present when the large guns were fired on at least one of the ships, and was subjected to the loud sound they produce [ sometimes did not get his ‘ hearing protection’ on in time between firings ] . He had to have surgery on some nerves running behind one of his ears, because of the pain and migraines he experienced, and I was told by my mother that you could touch him on that side of his head, and he would not feel a thing. 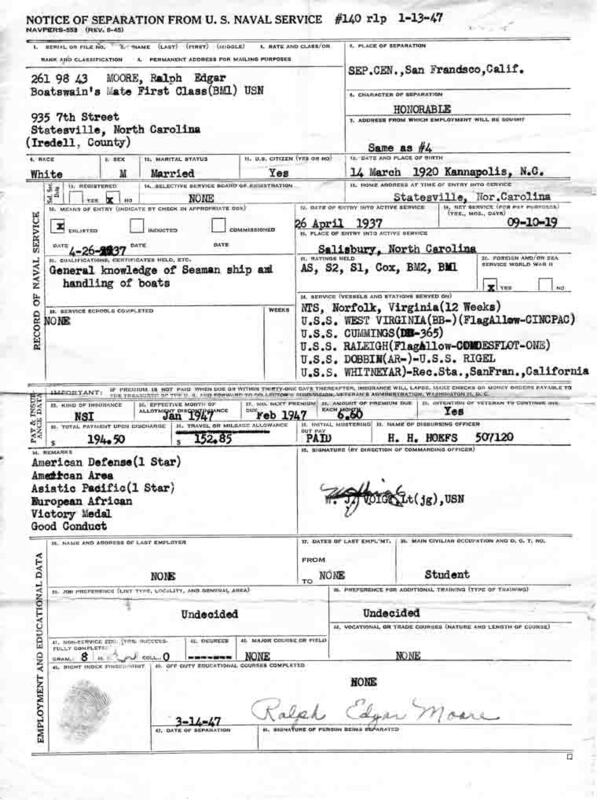 He was discharged in March, 1947 , from the Navy. He worked at various jobs. One job was a painter on the Oakland Bay Bridge. He could walk the ‘suspension cables’ [ something I couldn’t do, I am not fond of ‘heights’ ]. Once, he was asked to go up to help get a jumper down from the bridge. For his service to his country, and the sacrifices he made, I consider him a Hero…..too bad he passed away so young [ 1965 ] , I never got to know him very well.